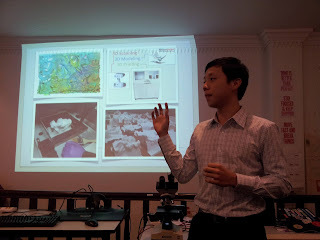 Me at HackerspaceSG introducing some of our Super Cool Books projects. Thanks to Elvin Hayden Liang for this photo. We spent the first half of the week delivering copies of The Diary of Young Justice Bao all over the island. It's available at only SGD $2.50, so if you come across it do grab a few extra books for your friends! 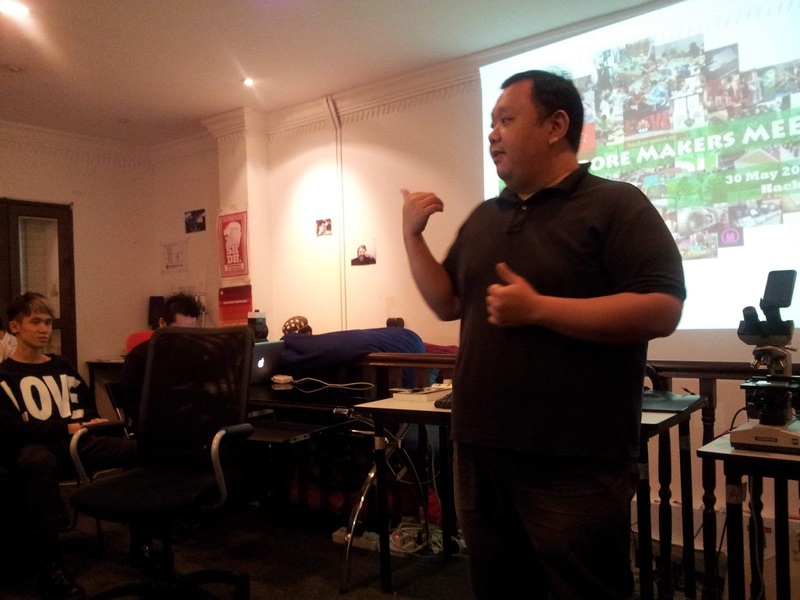 Last Thursday evening I had a great time exchanging ideas with a really cool crowd at HackerspaceSG. 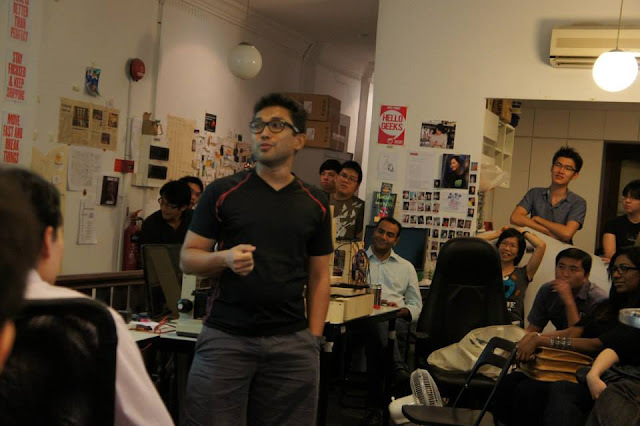 It was the regular SG Makers meetup, held once every two months. I was invited to talk about our DIY approach to publishing books for kids. 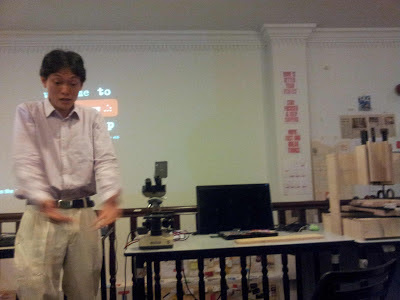 Ben Tang (tutor-maker-dad) showing us his home-engineered experiment kits. Javier Su (SUTD) presenting a showcase of amazing student projects. 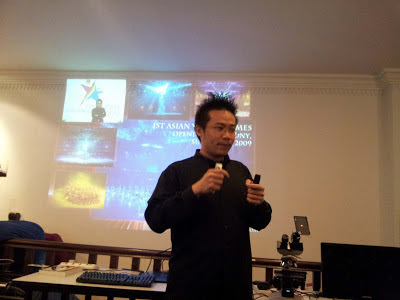 Kiki Tay (magician/special effects guru) explaining how he dazzles audiences with his lights, lasers and magic. It was the most exciting time I've had in a long while. For more photos and a longer account, check out Funbie Studio's blog. A big thank you to William Hooi for organising this. 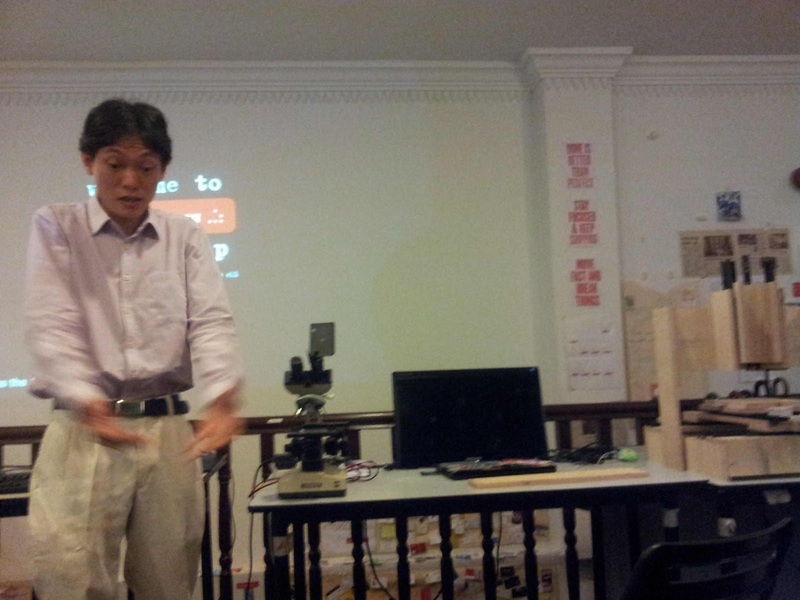 He's also putting together the Singapore Mini Maker Faire in July. 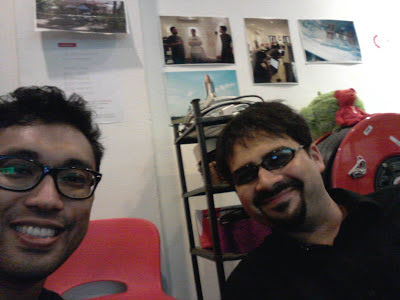 On Friday I had tea with my friend Brigitte Rozario from KL. 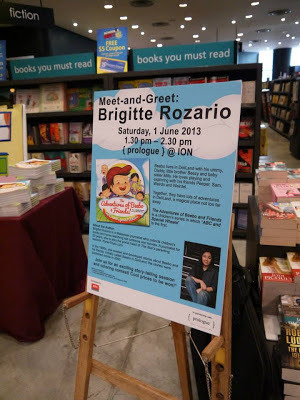 She was here to promote her new book series for kids, The Adventures of Beebo & Friends. Brigitte did a Meet-and-Greet at Prologue (ION) and also told stories at the Woodlands Regional Library. 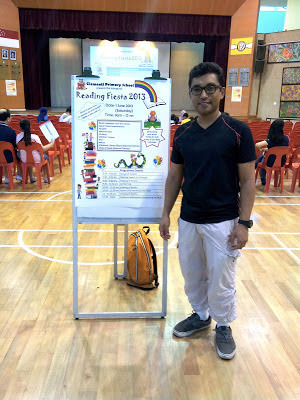 On Saturday morning I made a guest appearance at Clementi Primary School, as part of their first ever Reading Fiesta. During my talk I shared some ideas for helping kids get enthusiastic about reading. 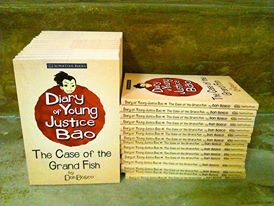 I also had a chance to meet many young readers and sign their copies of The Diary of Young Justice Bao. 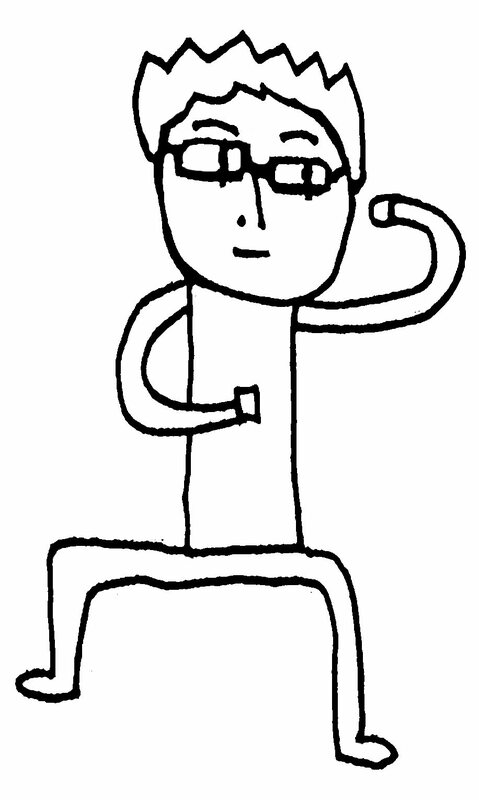 My son drew this! 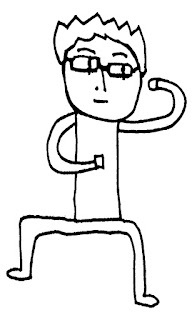 Yes, I'm always dancing around the house. In between all this I was kept busy working out new ideas for some surprise collaborations coming up later this year. Hint: games are involved. Will be announcing these new book projects soon!